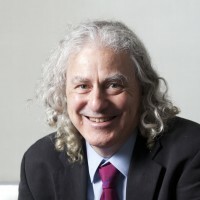 James Meadowcroft is a Professor in both the School of Public Policy and Administration and in the Department of Political Science. He has a BA in Political Science from McGill University, and a Doctorate from the University of Oxford. His research is focused on the ways in which governments are adjusting their practices and policies in order to cope with the emergence of problems of the environment and sustainable development. J. Meadowcroft, ‘Engaging with the politics of sustainability transitions’, Environmental Innovation and Societal Transitions ‘ (2011). A. Torvanger and J. Meadowcroft, ‘The political economy of technology support: Making decisions about CCS and low carbon emission energy technologies’, Global Environmental Change (2011). K. Backstrand, J. Meadowcroft and M. Oppenheimer, ‘The Politics and Policy of Carbon Capture and Storage: Framing an Emergent Technology’, Global Environmental Change‘ (2011). J. Meadowcroft, ‘Greening the State’, in P. Steinberg and S. VanDeveer (eds. ), Comparative Environmental Politics, MIT Press, 2011 (in press). I. Gough and J. Meadowcroft, ‘Decarbonising the welfare state’ in J. Dryzek, R. Norgaard and D. Schlosberg (eds. ), the Oxford Handbook of Climate Change and Society, Oxford University Press, 2011, pp. 490-503 (in press). J. Meadowcroft and M. Hellin ‘Policy making in the indeterminate world of energy transitions: carbon capture and storage as energy transition or enhanced carbon “lock in”’, in Policy: From Ideas to Implementation, G. Toner, L. Pal and M. Prince (eds. ), McGill Queens University Press, 2010, pp. 232-256. J. Meadowcroft and O. Langhelle (eds. ), Caching the Carbon: the Politics and Policy of Carbon Capture and Storage, Edward Elgar, 2009/2010. (HB and Pb, pp. 297) (ISBN: 978-1-84844-4126). J. Meadowcroft and O. Langhelle, ‘The politics and policy of carbon capture and storage’, in Caching the Carbon: the Politics and Policy of Carbon Capture and Storage, J. Meadowcroft and O. Langhelle (eds. ), Edward Elgar, 2009/2010. O. Langhelle and J. Meadowcroft, ‘CCS in comparative perspective’, in Caching the Carbon: the Politics and Policy of Carbon Capture and Storage, James Meadowcroft and Oluf Langhelle (eds. ), Edward Elgar, 2009/2010. J. Meadowcroft and O. Langhelle, ‘The politics and policy of CCS: the uncertain road ahead’ in Caching the Carbon: the Politics and Policy of Carbon Capture and Storage, James Meadowcroft and Oluf Langhelle (eds. ), Edward Elgar, 2009/2010. J. Meadowcroft, ‘What about the politics? Sustainable development, transition management, and long term energy transitions’, Policy Sciences 42 (2009): 323-340. G. Toner and J. Meadowcroft, ‘Spinning Wheels and Loosing Traction: The struggle of the Canadian government to move from rhetoric to action on the institutionalization of sustainable development’, in Debora VanNijnatten and Robert Boardman (eds. ), Canadian Environmental Policy: Context and Cases, 3rd edition, 2009. J. Meadowcroft, ‘Who is in charge here? Governance for sustainable development in a complex world’, Journal of Environmental Policy and Planning 9 (2007): 299-314. G. Toner and J. Meadowcroft (eds. ), Innovation, Science and Environment: Special Edition: Charting Sustainable Development 1987-2027, McGill-Queens University Press, 2009. J. Meadowcroft, ‘National sustainable development strategies: features, challenges and reflexivity.’ European Environment 17 (2007): 152-163. J. Meadowcroft, ‘Democracy and accountability: the challenge for cross-sectoral partnerships’, in P. Glasbergen, F. Biermann and A. Mol (eds. ), Partnerships, Governance and Sustainable Development: Reflections on Theory and Practice (Edward Elgar, 2007), pp 194-213. J. Meadowcroft, ‘Governing the transition to a new energy economy,’ in F. Armstrong and K. Blundell (eds. ), Energy…Beyond Oil (Oxford University Press, 2007), pp. 197-214. P. Catney, J. Henneberry, J. Meadowcroft and R. Eiser ‘Dealing with contaminated land in the UK through ‘Development Managerialism’ (with), Journal of Environmental Policy & Planning 8 (2006): 331–356. J. Meadowcroft, ‘Environmental political economy, technological transitions and the state’, New Political Economy, 10 (4) 2005: 479-498. J. Meadowcroft, ‘From welfare state to ecostate?’, in J. Barry and R. Eckersley (eds. ), The State and the Global Ecological Crisis (MIT Press, 2005), pp. 3-23. J. Meadowcroft , K. Farrell and J. Spangenberg ‘Developing a Framework for Sustainability Governance in the European Union’ (with), International Journal of Sustainable Development 8 (2005): 3-11. J. Meadowcroft, ‘Participation and sustainable development: modes of citizen, community, and organizational involvement’, in W. Lafferty (ed), Governance for Sustainable Development: The Challenge of Adapting Form to Function (Edward Elgar, 2004), pp.162-190. J. Meadowcroft, ‘Deliberative democracy’, in R. Durant, D. Fiorino and R. O’Leary and (eds. ), Environmental Governance Reconsidered: Challenges, Choices and Opportunities, (MIT Press, 2004), pp. 183-218. J. Meadowcroft, ‘Politics and scale: some implications for environmental governance’, Landscape and Urban Planning 61 (2002) 169-179. J. Meadowcroft, ‘Green ideology at the dawn of the twenty-first century’, in M. Freeden (ed.) Reassessing Political Ideologies: The Durability of Dissent (Routledge, 2001), pp. 175-192. J. Meadowcroft, ‘Sustainable Development: A New(ish) Idea for a New Century?’, Political Studies 48 (2000): 370-387. J. Meadowcroft and William Lafferty (eds. ), Implementing Sustainable Development: Strategies and Initiatives in High Consumption Societies, Oxford University Press, 2000 (ISBN: 0-19829-436-0 and 0-19-924201-1). J. Meadowcroft and Michael Kenny (eds. ), Planning for Sustainability, Routledge, 1999. (Hb and Pb, pp. 230 approx.) (ISBN 0-415-16476-1; ISBN: 0-415-16477-X). J. Meadowcroft, ‘Planning for sustainable development: insights from the literatures of political science’, European Journal of Political Research 31 (1997): 427-454. J. Meadowcroft and W. Lafferty (eds. ), Democracy and the Environment: Problems and Prospects), Edward Elgar, 1996 (Hb and Pb: pp. 380) (ISBN 1-85898-325-8; ISBN 1-85898-773-3). ‘Conceptual innovation and environmental governance’, with Dan Fiorino of the American University, and other international collaborators, funded by SSHRC. ‘Institutional innovation for a low carbon economy’, with Douglas Macdonald of the University of Toronto, and Glen Toner of Carleton University, funded by Carbon Management Canada. ‘Photovoltaics and the transition to a carbon-neutral energy system in Canada’, funded by the NSERC Photovoltaic Innovation Network. Organized by the Canada Research Chair in Governance for Sustainable Development, the Carleton Research Unit on Innovation, Science and the Environment (CRUISE), and the International Institute for Sustainable Development (IISD). Panorama Room, National Arts Centre, Ottawa, October 18-19, 2007. Full conference program available here. ‘Public monitoring, audit, and review of central government policy-making for the environment and sustainable development: lessons from international experience’ a practitioner workshop, organized on behalf of the UNEP sponsored Best Practices Network for Sustainable Development, and supported by the European Environment Agency, the US Multi State Working Group for Environmental Performance, and the Office of the Canadian Commissioner for the Environment and Sustainable Development. ‘The evolution of air pollution governance in Canada and the United States’ (Ph. D. thesis – in progress). ‘The politics of Biofuels’ Ph. D. thesis (in progress). ‘The Changing Role of Science in Fisheries Management: From Traditional Science-Based Management to the Ecosystem Approach’, M.A. thesis ( in progress). ‘Carbon capture and storage’, M.A. Research Essay. ‘From Talk to Action? Analysis of actor constellations involved in the development of a Canadian greenhouse gas emissions trading system’, MA thesis prepared for the Free University of Berlin. ‘Long term targets and climate change policy’, M.A. Directed Studies. ‘Climate change and the auto industry’, M.A. Directed Studies. ‘The methyl bromide challenge: a critical analysis of the phase out of methyl bromide, Honor’s Research Essay. ‘Carbon Dioxide Capture and Storage: Developing a Regulatory Framework’, MA Directed Studies, 2006/7. ‘Denied, Debated, Dithered: Climate Change Policy and Politics in Canada’, MA Directed Studies, 2007. ‘Socio-Technological Change and Sustainable Development’, PhD directed study. ‘Maximizing the Potential of Nuclear and Wind Power in the Absence of Coal Generation Systems in Ontario’.